This question gets into an area that directly affects you and everyone on this planet and our ability to continue to live here. Far too many credible people are testifying that our government is working with an advanced race. I know how incredible this sounds. But some of the most hard-core critics have set out to disprove this and have come away with questions that simply cannot be answered any other way. If this is the case, we must come to the conclusion that, if an extraterrestrial race or races are here, they have very advanced technology, alternative energy being one of them. If this is true, the people working with them would be the same people controlling world governments, banking systems, and energy resources, and the reason for this is that they would want to be in control of us. As long as we are dependent on fossil fuels, they can control our food production, transportation, heating and cooling, everything. And What About Our Financial Systems? So, you may be asking, why even be concerned with energy, world conditions, and UFOs? It’s because by concerning ourselves with these events, we will start breaking down centuries of indoctrination that have kept us blinded by filtering out important information that would break the bonds of being kept in the dark. This is a process, the most important process of our lives. And it doesn’t mean that you should just accept and believe in UFOs, extraterrestrials, government cover-ups, and so on; it simply means we need to start “thinking” again, leave the subject open for debate, and stop marginalizing people and groups for even bringing it up. We, planet Earth, are on the cusp of an awakening, spiritually and consciously. We are just now leaving the Dark Ages and entering the Age of Enlightenment, culminating in 2,000 years with the Golden Age. This (procession of the equinox) happens every 25,900 years, and if you don’t think the movement of planets has an effect on consciousness, think about the daily rotation of our planet and what it does to consciousness—people and animals go to sleep at certain times, some animals hibernate according to slightly larger motions of the Earth’s movement, and the movement of the procession has an even greater effect on planetary consciousness. I recently interviewed John Anthony West (the interview is transcribed in this issue) and he and I disagree on this subject. When you read the interview, though, you will see why it’s dangerous to just blindly accept this or any other point of view. 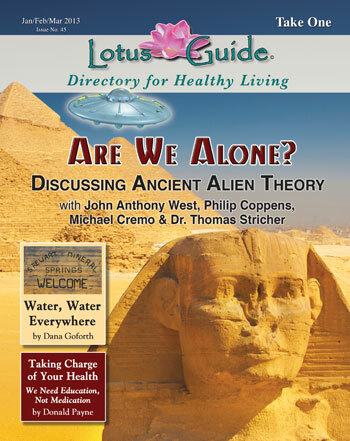 I also interviewed Dr. Thomas Streicher on the subject of his book, Extra-Planetary Experiences: Alien Contact and the Expansion of Consciousness. He thinks that, according to his experiences and to those of people he interviewed, the alien presence is coming to us from within as interdimensional beings, what may have been called angels in our past. In our interview, he made it clear that he was convinced that contact is taking place regularly with many people from all walks of life. Be sure to watch the whole interview on our YouTube Channel. 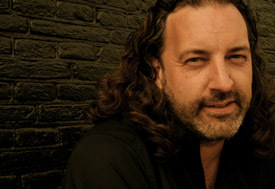 I also interviewed Philip Coppens, who is an investigative journalist and whom you may know from the TV series Ancient Aliens. He brings an academic background to this topic. Like many others in the academic realm, he maintains a conservative view but ancient alien intervention is not off the table for him. Phillip recently passed away from cancer, he will be missed. Don’t miss his last interview on our You Tube Channel. He was an excellent investigative researcher. 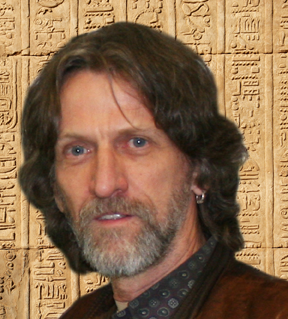 And then there’s Michael Cremo, who wrote The Forbidden Archeologist and who has an in-depth background in Vedic literature. 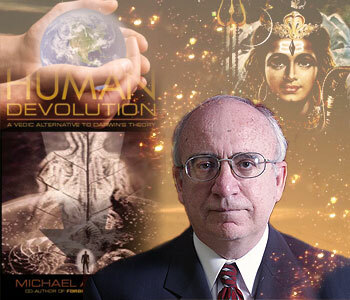 In one of his books, Human Devolution, he maintains that humans seem to be devolving instead of evolving, which, when I look at the state of affairs, is an idea that seems to hold a lot of credibility. However, I don’t totally agree. It seems to me that evolution happens on many levels and we seem to be evolving spiritually. The problem is that we are dragging our primal inheritance with us. 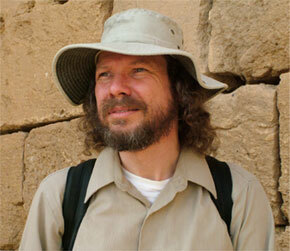 I also interviewed Robert Schoch, who is the geologist who assisted John Anthony West in pushing back the date of the Sphinx many thousands of years, which, by the way, really upsets the academic Egyptologists. At first, Robert was maintaining the most conservative estimate of the Sphinx but lately he has opened up to the possibility that the date could be as long ago as 36,000 years. Then there are people such as Sheldan Nidle, who claims he is in touch with the Galactic Federation, which is keeping him and us informed on its plans for us and our planet. I am cautious of this kind of information simply because it is difficult, if not impossible, to validate. However, I have to admit that with all the sightings of mass lights in the sky, even over Sacramento, that it would lend credence to what he talks about. I hope he is right because these seem to be the “good guys” who are here to help. As you will notice if you watch our interviews and read our magazine, you will see that we don’t limit our interviews only to people we agree with. It’s been my experience that on occasion I have been wrong and have never possessed the entire truth. And in fact, this is the case with most people. However, most people don’t or can’t admit it because they are so heavily identified with their point of view, which takes us back to why it is that I believe that this kind of information is important, even the information that we don’t agree with. It gets us to start “thinking” again. For far too long we have blindly believed in a God or Gods and could easily replace that belief with a new alien/UFO belief adapted to our more technologically advanced civilization, all of which keeps us from searching for our own experience, which in the end is the only thing that matters. I will end with this bit of personal information: When I was 10 years old I witnessed, with other people, something totally alien to this world. It was a 50-foot cylindrical spacecraft no more than 30 feet from us for a total of two minutes. What was it? I have no idea, but the “experience” took the subject of UFOs from the realm of “beliefs” to the realm of gnosis or “knowing.” But this knowing benefits only me—you need to search, think, explore the depths of human consciousness, open your mind, and start “thinking” again. This is the necessary state of mind to be in when the master/higher self knocks at the door wanting to bring conscious enlightenment to your mind, your being, and your heart. It’s time to wake up, so let’s clear out old thought patterns and be ready. Rahasya Poe, author of To Believe Or Not To Believe: The Social & Neurological Consequences of Belief Systems, Rahasya@usa.com Visit Rahasya’s website at www.RahasyaPoe.com where you can listen to his Coast to Coast interview. A special thanks to Inner Traditions Publishing for connecting us with so many great authors.